Beautiful stone house in Majorcan style, very well equipped, ideal in summer and winter, with quality furnishings cosy and comfortable, 2 km from the town of Muro, in a very quiet and private area. The total constructed area is 275m2 with 15,000 m2 of land, distributed in large common areas and open spaces,elegantly decorated. 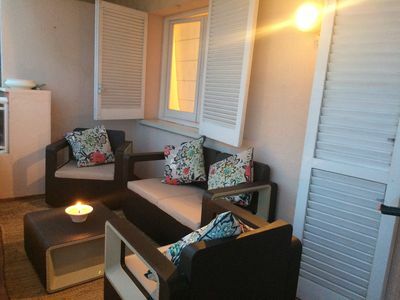 This is perfect summer house for large families up to 6 persons. Holiday house with private pool and large garden with nice lawn located 15 minutes drive from the closest beaches. The house enjoys pleasant terraces and a covered porch, garden with lawn areas ideal for children and a swimming pool. There is also a barbecue and wood fired oven area to spend pleasant evenings al fresco, also a small wooden house for the kids to play or keep the bicycles. Enjoy your own piece of idyllic Majorcan countryside and discover the beauty and comfort of a home that will make your holidays an unforgettable experience. Take a refreshing dip in the salt water pool or just relax while your children are playing in the garden. The private pool is a size of 8 meters x 3 meters and it is from 1.20 to 1.80 meters deep. 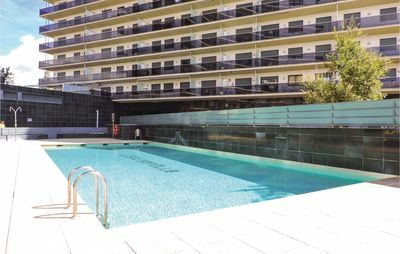 Sure you will enjoy sunbathing by the pool on one of the 6 sun loungers - the perfect place for all the sun lovers, who are searching for a quiet and private place to enjoy the Majorcan sun. The house is distributed on two floors, on the ground floor there's a spacious lounge room, kitchen/dining room open to the living area, 2 bedrooms, one with double bed and the other with two individual beds and separate bathroom with shower. On the first floor is the third bedroom with double bed and a bathroom, also the recreation area with pool table. It is the perfect place to spend a few days with the family, couples or friends enjoying nature and the beautiful spaces in the area. From the property you have a several walking destinations-routes on the mounting or country walks. The property has a private garage where you can stored your golf bags during your holidays. The property offer a private garage where you can keep you bike stored during your holidays. 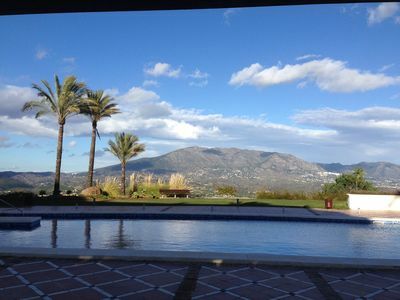 It is situated in the centre of Mallorca's extensive cycling route, 400 km of roads and trails for biking excursions or MTBK and a lot of beaches and rural zones just in a few minutes. Only 15-20 minutes by car you will enjoy the Beaches of Alcudia Bay with aprox. 4,5 km of white sand from Puerto de Alcudia to Can Picafort. Also northwards you will find the Pollença Bay and Pollensa old town, Sant Vicenc beach, Puerto Pollensa and its beaches... and the entire Bay of Alcudia, with its tourist and recreational areas such as the unique Albufera Natural Park and the surrounding beaches and lakes. -Flexible changeover day, arrival at 15:00 hrs departure at 10:00 hrs. We work hard at accommodating everyone's needs so your holiday runs smoothly. If an earlier/later arrival or departure into the house is needed please enquire at the time of booking, it is not always possible but we will try to help. -We request information about the day and time of your flight arrival and departure to organize the reception of clients and their departure. -Refundable deposits are required for any damage to the property or contents, which will be refunded 48 hours after checking out by bank transfer, so we will request your bank details (full name, name and address of the bank, IBAN, swift or bic number) either before or on arrival. -Bookings also taken for December through to March. -Long winter rental prices on request. 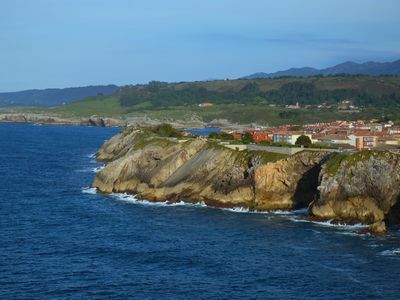 -This house has heating by diesel, paid on the metre rate, that's 1€ per litre not included in the booking price that has to be paid on the check out day. From July 1st 2016, The Balearic government require a tourist tax, payable at the time of booking. For travellers over the age of 16 yrs the Balearic Tourist Tax is €1.10 per person per night. You will need to pay this on arrival at the check in. 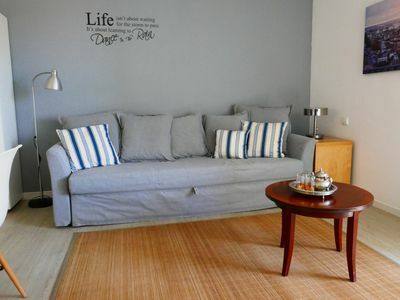 * Security deposit: € 500.00-After completing the reservation you will be required to leave a credit card number. 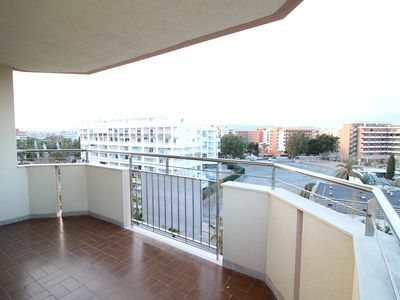 Apartment 5 pax with communal pool and next to the Plaza Europa Salou.